At X-Formation, team spirit isn’t just an inspirational poster hanging on the wall. We’re eager to help each other, both professionally and personally, so you won’t be isolated, but will feel supported and bolstered by your peers. There are more than 25 of us in our two offices in Denmark and in Poland—mostly developers, sales and support staff. We’re a friendly bunch of people who genuinely enjoy working together to achieve what matters most for all of us: delivering value to our customers by listening to their needs and building high-quality software products that every day make an impact on hundreds of businesses. If you feel like stopping by, come on down and get to know us better! If you feel X-Formation may be the right choice for you, we’d love to meet you. 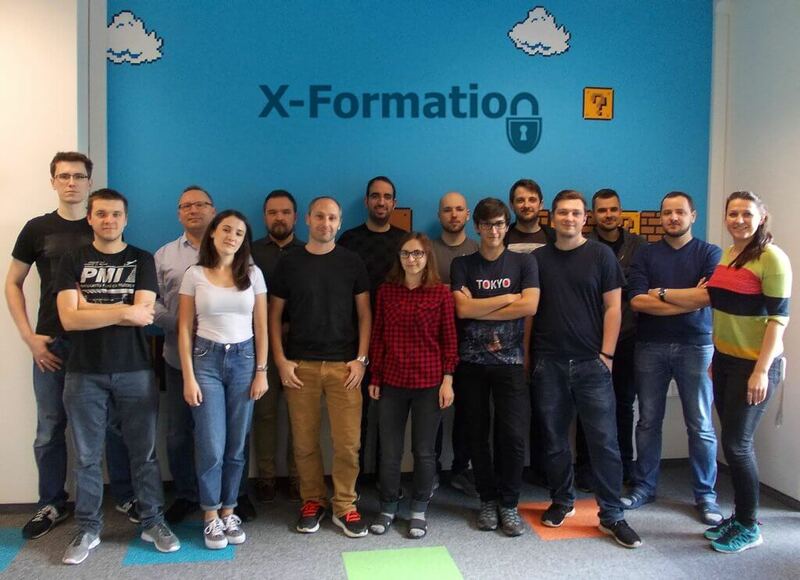 Touring our modern and comfortable building and shaking hands with some of X-Formation’s friendly team members, you will see for yourself what a great place X-Formation is to work at. Our Krakow-based R&D office is located in the city’s quiet and green district of Bronowice, less than 30 minutes away from the bustling city center. When you join us, you can look forward to working in a spacious, brand new office with games room, freshly ground coffee and massage chairs. But most importantly, when you join our team, you will be working alongside smart people that really care about creating a great customer experience. You can forget about micro-management, because we encourage every individual to be self-directed and manage their own work. We foster creativity and independent thinking, because in the end what matters most is an original idea and good work. You won’t be chained to your desk, endlessly staring at your monitor—you can always take a break and enjoy lounging on one of our comfy couches or get spoiled by our great massaging chairs. You will have an opportunity to work in a globally active company whose products are trusted by 600 companies worldwide. Real business problems that impact thousands of users are waiting to be solved by you!